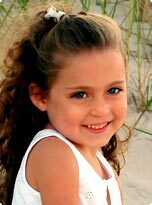 On March 1, 2004, a beautiful four-year-old little girl from Manhattan’s Upper East Side died suddenly after contracting Influenza B less than two days earlier. In response to this devastating tragedy, the Amanda Kanowitz Foundation has been established to raise awareness of the risks of Influenza, determine why children like Amanda are dying, help identify which other children should be considered high-risk, and develop	effective treatment for extreme reactions to Influenza and other infectious diseases. The first annual Family Fun Day Benefit was held on September 12, 2004 in New York City’s Central Park at the Victorian	Gardens amusement park. Festivities included rides, carnival games, face painting, princesses, art projects, fabulous food, a balloon raffle, and a spectacular silent auction. See what we're doing to fight Influenza.